Firm: Foley Law Firm, P.C. Michael J. Foley is a shareholder in Foley Law Firm in Scranton, Pennsylvania. Mr. Foley is a Certified Civil Trial Advocate by the National Board of Trial Advocacy, and is a member of the American Board of Trial Advocates. Mr. Foley has been selected by Law and Politics and Philadelphia Magazine as a Pennsylvania Super Lawyer for the years 2004 - 2014 publications, every year the award was given. Mr. Foley graduated from Washington & Lee University in 1980 where he was a member of Delta Tau Delta, an all-star athlete and co-captain of the water polo team which placed sixth in the Division I NCAA Eastern Water Polo Championships in Chicago in 1979. Mr. Foley graduated from Duquesne University Law School in 1983. He served as a law clerk in 1984 to the deceased, Honorable Robert N. C. Nix, Jr., former Chief Justice of Pennsylvania. Mr. Foley was named to the Pennsylvania lnterbranch Commission on Venue in 2002. Mr. Foley was elected to the office of President of the Pennsylvania Association for Justice (formerly Pennsylvania Trial Lawyers Association) in 2008-2009. Mr. Foley has served as a Trustee of LAWPAC, the political action committee of the Pennsylvania Trial Lawyers Association since 2006. 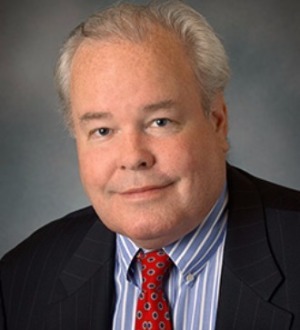 Since 2009, Mr. Foley was elected to the Board of Governors of the American Association for Justice, (formerly the Association of Trial Lawyers of America) and has served on the Key Persons and Stalwarts Committees. Mr. Foley has been selected by his peers for inclusion in the book The Best Lawyers in America since 2010. Mr. Foley has been selected by his peers as a Fellow of the American Bar Foundation, a Fellow of the National College of Advocacy (Washington, D.C.), as well as a Fellow of Litigation Counsel of America, Trial Lawyer Honorary Society (2007). In 2011, Foley Law Firm was included in the seminal edition of The Best Law Firms in America in both personal injury and medical malpractice. Mr. Foley has been recognized by Lawdragon Magazine as one of the leading plaintiff s lawyers in America, and he has been listed in The U.S. News & World Report for "Best Lawyers in America" rankings, and "Philadelphia's Best Lawyers" for 2010 (greater Philadelphia Metropolitan area) by Best Lawyers, LTD published in the Philadelphia Inquirer. Mr. Foley is a member of The National Trial Lawyers Association, an invitation only organization composed of the top 100 Trial Lawyers from each state practicing in either civil plaintiff or criminal defense law. He has been admitted to the Medical Malpractice Section. Mr. Foley was awarded a Certificate of Recognition by the United States House of Representatives on July 23, 2008. Mr. Foley was given an award on January 23, 2010 by the Board of Governors of the Pennsylvania Association for Justice in appreciation for his efforts on behalf of Pennsylvania's consumers over his career, and as PAJ President in 2008-2009 and in particular for his role and that of Foley Law Firm in protecting patients' rights during the legislative battles in 2002 and 2003 over medical malpractice. Mr. Foley was one of several PaTLA lawyers presented with a ceremonial pen by the Schweiker Administration commemorating the signing of House Bill 1820 on medical malpractice in 2002 recognizing his work in the legislative process. At the Association of Trial Lawyers of America Convention in 1999, Mr. Foley was given a special service award by ATLA's Workplace Injury Litigation Group, in San Francisco, for his outstanding efforts on behalf of "workers everywhere" in the matter of Sullivan v. Barnett in the United States Supreme Court, 119 S. Ct. 977 (1999). Pennsylvania's Association for Justice Board of Directors recognized his efforts over his career with an award in 2010. Mr. Foley previously served as PaTLA's President-Elect, Vice President, Secretary, Treasurer, Parliamentarian, Assistant Secretary and Assistant Treasurer among other assignments. He was a member of PaTLA's Executive Committee from 1996 - 2010, is a past member of the Board of Directors of ATLA Workplace Injury litigation Group, Lackawanna ProBono, Inc., and former member of the Board of Directors of Northeastern Pennsylvania Trial Lawyers Association. Mr. Foley was a founding Board member of The Committee for Justice for All. He is a member of the Roscoe Pound Foundation.